BNP Secretary General Mirza Fakhrul Islam Alamgir has strongly condemned Border Guard Bangladesh (BGB) members’ open firing which left three dead in Thakurgaon's Baharampur village. Four villagers were killed on Tuesday when members of a BGB patrol team opened fire following a scuffle with locals in Thakurgaon's Baharampur village. “Killing in the border by the Indian Border Security Force (BSF) has been happening since long. Now, if the BGB resorts to similar activities, then the people in bordering area have no security at all,” said Fakhrul. “People have started raising question whose interest the BGB men has been serving. Jungle law will be established in the country if the situation prevails,” he added. 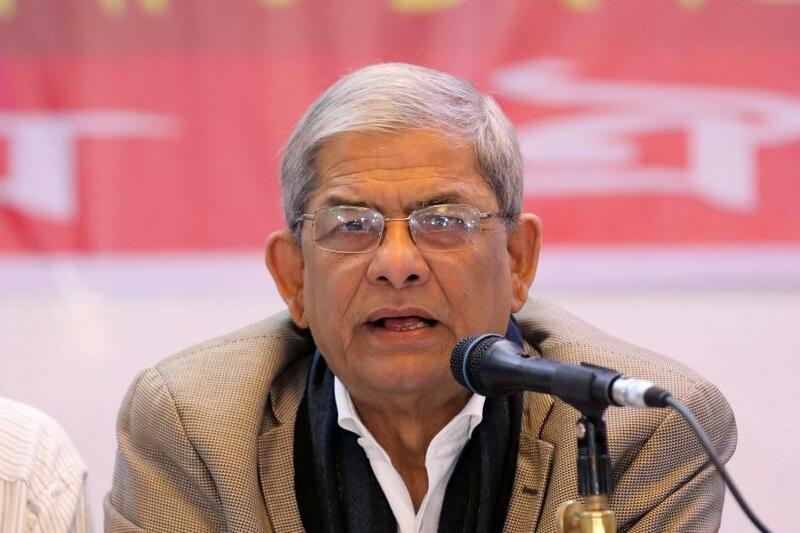 Mirza Fakhrul has been undergoing medical treatment in Singapore.